A beautiful keepsake block like this will look great displayed anywhere in mom's home showing all of her visitors that she's the best! We will skillfully engrave this clear glass-look keepsake with any name and any three line message to make it a wonderful gift idea. Perfect for personalized Mother's Day gifts and more! 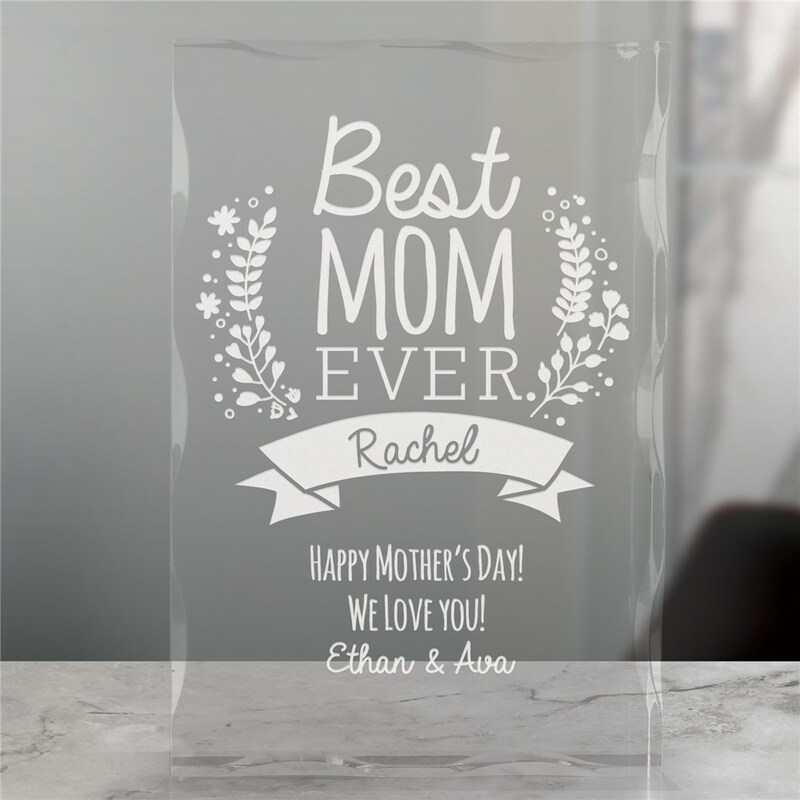 Additional Details Shop more great custom gifts for Mom, like our collection of Mom keepsakes and home decor - plus an entire personalized gift collection for everyone else!